Storm Team4 forecasts that a "deep freeze" is coming to the D.C. area, with temperatures in the 20s toward the end of this week. A "deep freeze" is coming to the D.C. area this week, as temperatures plunge 20 to 30 degrees by the end of the week. Storm Team 4 meteorologist Chuck Bell said the cold will be "a shock to the system" for area residents. Wind chills may be as low as single digits. Storm Team 4 has declared Thursday and Friday Weather Alert Days. 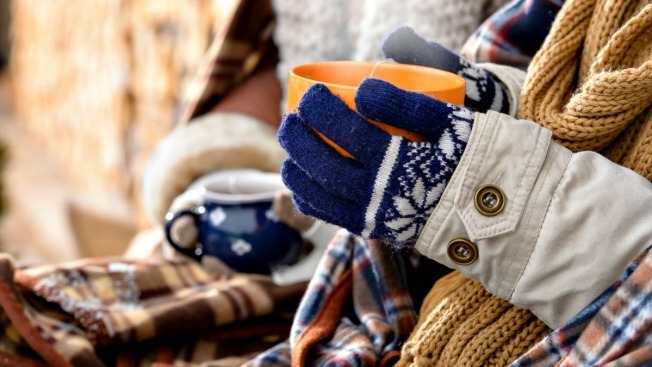 With low temperatures coming this way, here are six ways to stay warm in a cold apartment. Curtains and drapes are better at reducing heat loss than window blinds. If you use Velcro or magnets to attach your drapes to the wall on the sides and bottom of your windows, you can reduce heat loss in a warm room by up to 25 percent, according to the Department of Energy. Lined curtains are insulated to keep light out and heat in, so they're an energy-efficient way to warm up your apartment. You can pick them up in most department stores and discount retailers. If you don't want to invest in a new set of drapes, you could hang old comforters or quilted blankets instead. You can also cover your windows with bubble wrap and close gaps with painters tape or packing tape. Cotton sheets are breathable, so they naturally keep you cool. During the cold winter months, go with fleece or flannel sheets instead. If that's still not enough for your freezing apartment, layer on the blankets. Try adding an extra fleece or microfiber throw under your bed's comforter. Portable space heaters can warm up a room, but they can also create fire and electrical hazards. Read all instructions and warning labels, and keep your heater at least three feet away from anything flammable, like papers, clothing, rugs, bedding or curtains. Never leave a space heater unattended, and turn it off before you go to bed or leave the room. Bare wooden floorboards can also contribute to your apartment's heat loss. Rugs and carpets can help trap heat and keep a room warm. You can also use towels or old blankets to cover your cold bathroom tile. Placing a "draft dodger" against your doors and windows can help keep cold winter air out and your energy bills down. Don't have one? Use an extra comforter or blanket. Programmable thermostats save energy by allowing you to adjust temperatures when your apartment is empty. Keeping your apartment cooler when you're not home can cut your heating and cooling costs by up to 10 percent, according to the Department of Energy. If you don't have a programmable thermostat, talk to your landlord and contact your energy provider about installation options.